We get a lot of random requests for information here at CC+S. Here’s one we’ve had more than once: “What are best practices for the design of outdoor play and learning environments at schools?" We recently got an email about this from a parent in Hawai’i. As my colleagues and I put together a shortlist of key resources for her, it occurred to me that it was worth sharing. So here goes. Big kudos to CC+S’s Creative Director, Shirl Buss, who put most of this info together. 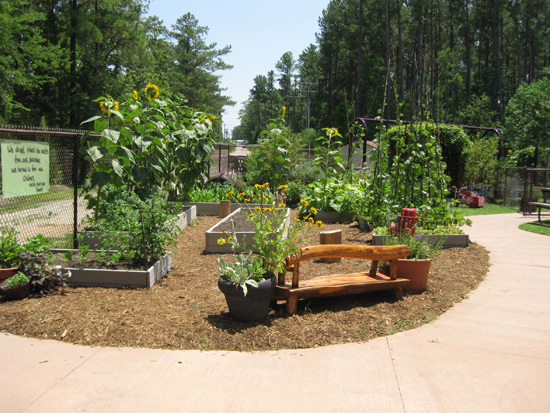 Robin Moore at the North Carolina State University has done extensive work about natural playgrounds, and has many research projects about play environments in the works. Here is a link to his work. He also is the M in the firm MIG located here in Berkeley. MIG has a huge design practice, that includes playspaces, outdoor learning environments, and accessibility standards for outdoor spaces. Pacific Oaks College in Pasadena is known for its pioneering work in children's environments, especially at the pre-school level. And of course in the UK, where adventure playgrounds were born, there is always something on the cutting edge going on. A place to start might be through CUBE. 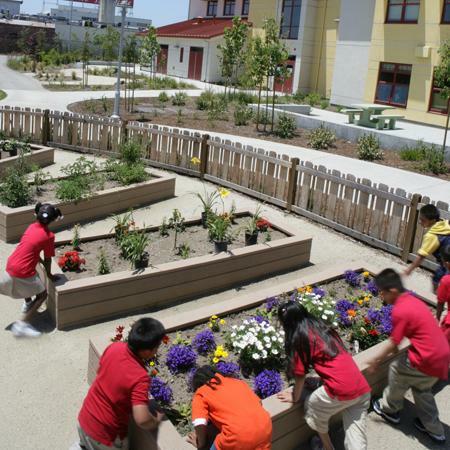 Green Schoolyards America, headquartered right here in Berkeley, is a national organization that expands and strengthens the green schoolyard movement and empowers Americans to become stewards of their school and neighborhood environments. They believe that school grounds are uniquely positioned to enrich the daily lives of children and their communities, occupying both the geographic and social heart of almost every city across the USA and around the world. Sharon Gamson Danks, who leads the GSA, is a true visionary in rethinking schoolyards. See the link to her great book, Asphalt to Ecosystems below. On the commercial front The Rockwell Group has done some interesting work for cities, hospitals and businesses. Developing Great Schoolyards — A Handbook for Elementary Schools (2011) by the 21st Century School Fund. Quality schoolyards are important places for elementary schools because outdoor activities are critical for child growth, health, education, enjoyment as well as for community use and as green open space in neighborhoods. The 21st Century School Fund created “Developing Great Schoolyards” by surveying D.C. public elementary schoolyards in the spring and summer of 2010. The review identified key elements of healthy, safe and educationally rich schoolyards.